The 1939–40 New York World's Fair publicly launched the first idea of the television and what it can do. Courtesy of the Hagley Museum and Library. Today, we take television for granted. It is everywhere, in different sizes and shapes, in our pockets and our living room walls. It is ubiquitous. The idea of the television we know today was introduced to the American public in the 1920s and then more as a reality in the 1930s. John Vassos (1898-1985), an American artist and the Radio Coporation of America’s lead consultant industrial designer, played a critical role at the start of the television age, creating a shape for the first mass-produced televisions in America. 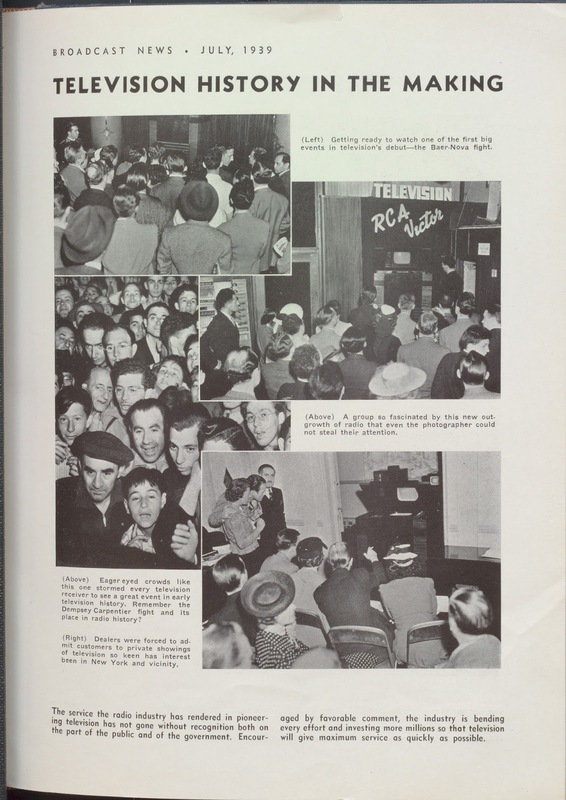 RCA, a dominant force in radio production and broadcasting through its affiliate NBC, was a leading innovator in television technology and manufacturing. Vassos’s televisions were introduced in a big splashy presentation at the 1939-40 New York World’s Fair and at the Golden Gate International Exposition in San Francisco, also in 1939 and 1940. 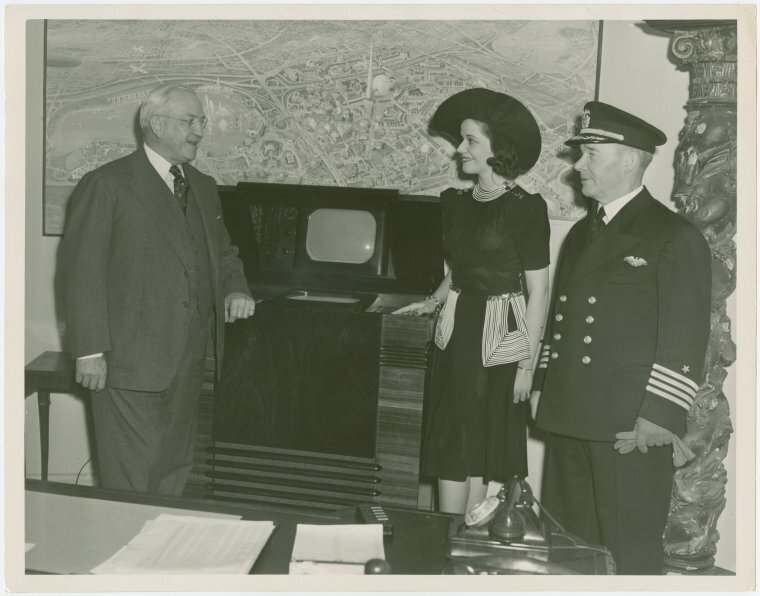 RCA’s broadcast of the opening of the World’s Fair marked the commencement of regular television broadcasts in North America and was the first opportunity for a large public to see television in operation. Vassos’s earliest television receivers used the then-futuristic idiom of streamlining to create a receiver design that became outdated before it hit the market. The large TRK-12 receiver was named for its 12-inch screen. Vassos had been challenged to find an appropriate cabinet for RCA’s newest and most ambiguous technology. Indeed, the terminology “television” was still so new that the machine had not received its name and “receiver” more accurately described what the machine did: capture the transmission of television. RCA was unsure how to promote the new medium. Was it radio with pictures or something else? The challenge of creating a shape for television forced Vassos to consider issues affecting design for the home for a truly new technology. The freestanding unit’s large mechanical parts posed a design difficulty. 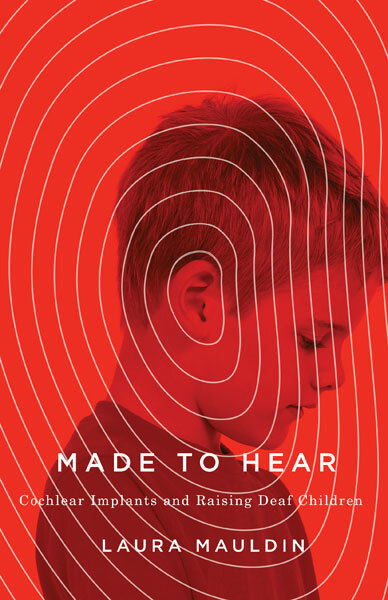 He chose to integrate some elements of radio in a design that is now considered a classic. The TRK-12’s importance to RCA cannot be underestimated. It suggests an instance of a visionary design worthy of study despite its failure in the marketplace due to a disruption in production during the war and advances in television technology that soon replaced the cumbersome receiver. 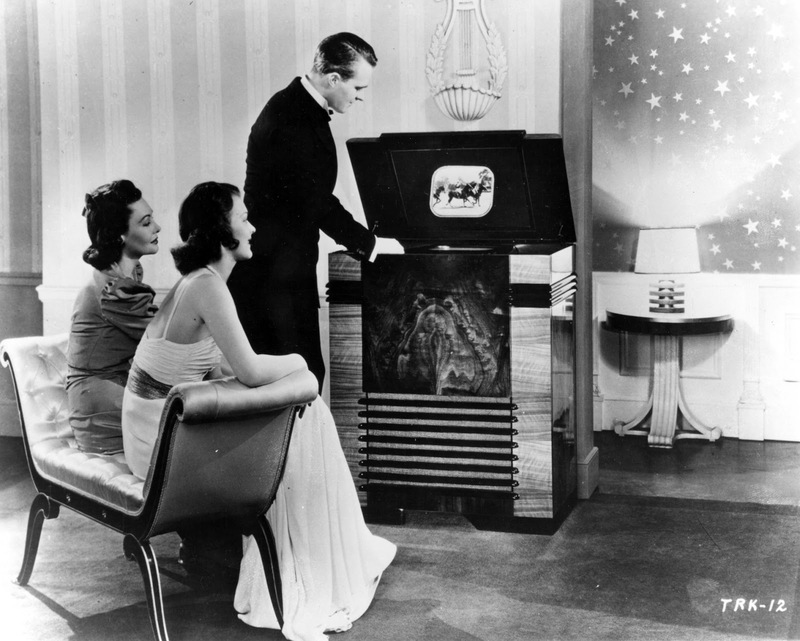 RCA, a leader in television manufacturing, introduced its premier technology at the 1939-40 New York World’s Fair. Its opening speech by Franklin Delano Roosevelt on April 30, 1939, marks the advent of regularly scheduled broadcast programming in the United States. It aired on W2XBS, the predecessor of NBC. The ceremony was viewed by several hundred viewers on TV receivers inside the RCA Pavilion at the fairgrounds as well as on receivers installed on the 62nd floor of Radio City. Ten hours of programming, including shows from the NBC studio in Radio City, were played on the multiple receivers housed in the RCA Pavilion. stand with an earlier iteration of the television, c. 1935-45. Image from Manuscripts and Archives Division, New York Public Library. RCA released the TRK-12 for sale soon after the start of the fair. Stores were mobbed with bystanders—an image of a televised crowd watching television that would be replicated again and again. In many ways, the World’s Fair was the ideal place to unveil a new technology. The exhibit, like the fair as a whole, was meant to express the values of freedom from scarcity and hope for a future saved by technology and administered by big business. The timing was right for a look at the future since the country had endured a decade of depression and was on the verge of joining a war that had already erupted in Europe. These fears and hopes were expressed succinctly by President Roosevelt's opening address at the fair: “The eyes of the United States are fixed on the future.” This was literally the case as thousands of people at the Fair and at department stores around New York City watched and listened to his address on the new medium of television and dreamed of a new tomorrow. Danielle Shapiro is author of John Vassos: Industrial Design for Modern Life. 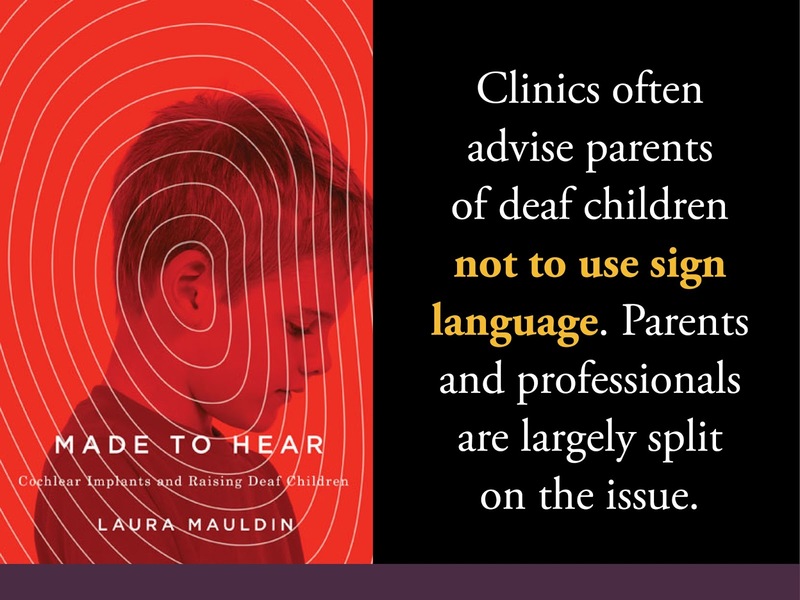 She is an independent scholar who has served as senior program officer in the Division of Public Programs at the National Endowment for the Humanities. 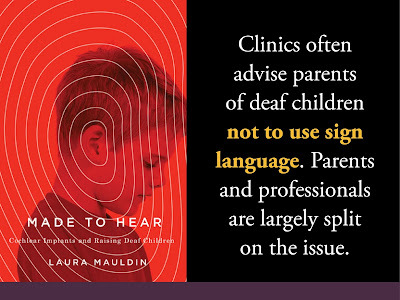 She earned her PhD in art history and communications studies from McGill University. 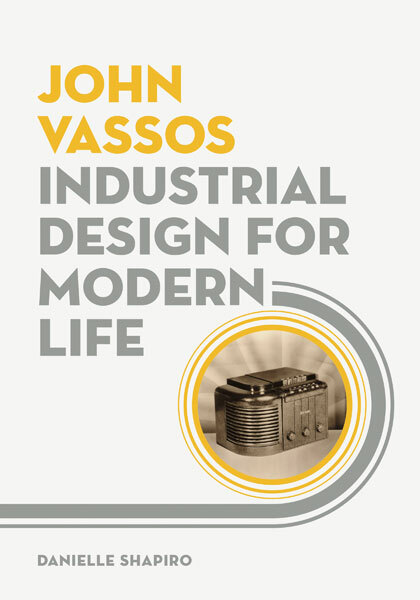 "John Vassos is a complex portrait of an artist and designer whose early illustration work criticized the tempo and commercialism of modern life but whose later design work took for granted those same qualities and attempted to accommodate people to them." The Internet of Things and the rise of planetary computerization: How environmental sensing technologies multiply rather than consolidate versions of the planet. Planetary computerization—and the making of a computational planet—are terms and concepts that now occupy considerable attention in media studies and environmental theory and practice. Yet these developments have been underway since at least the post-war context, since renderings of the planet as expressed through communication technologies can be found in works as far flung as the writings of Arthur Clarke, to Marshall McLuhan’s observations about the birth of ecology with the launch of Sputnik, to Barbara Ward’s discussions of Spaceship Earth emerging through telecommunication technologies—as well as Félix Guattari’s mapping of the possibilities of “planetary computerization.” More contemporary works continue to revisit these themes, including the Haus der Kulturen der Welt’s (HKW) exhibition, The Whole Earth, which considers how particular cultural practices and environmentalisms emerge by revisiting the often communication-based imaginings of the Earth from the Apollo missions onward. In these diverse approaches, the earth appears as a highly interconnected techno-political artefact that is nevertheless under stress. Why do I begin with this discussion of multiple versions of computational planets? Because while the planetary is often a focus exactly because the Earth is seen to be under considerable environmental stress, one recurring response to the planet in crisis is to propose that more monitoring and more data, particularly through environmental sensor networks, will help to address environmental problems and make the planet more sustainable. In Program Earth, I take up considerations about the planetary and its environments by addressing the rise of ubiquitous environmental computing. In current imaginings of ubiquitous environmental sensing, technology companies often put forward a vision of the Earth as brimming with sensors, where every environmental process and activity will be monitored for ideal performance and responsiveness. Tens of billions, if not hundreds of billions, of sensors are proposed to be deployed in order to ensure earthly systems are optimized. At multiple levels, sensors are presented as a solution to the problem of the planet in crisis, from monitoring global systems to enabling citizens to become more effective sensors and participating nodes in these systems. of the planet in crisis. 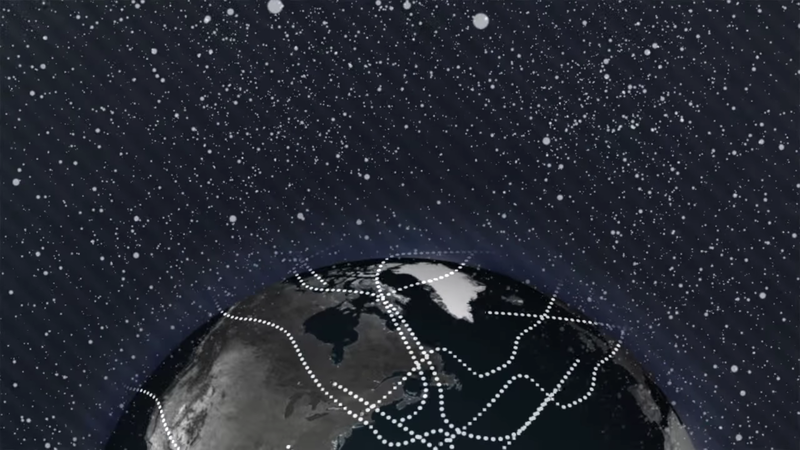 Images from IBM's Internet of Things videos, Part 1 and Part 2. “The Internet of Things,” one of many promotional videos developed by IBM to convey the technological revolution that ubiquitous environmental computing is meant to usher in, presents a version of interconnectivity where the planet has effectively “grown a central nervous system” through the rise of environmental sensors, to the point where there are more things than people connected to the Internet. Here is an intelligent planet that can coordinate the flow of traffic, facilitate the timing of commutes, report blockages in water mains, and balance energy grids. As the video narrator notes, in this coordinated vision of the Internet of Things, “you could look at the planet as an information creation and transmission system. The universe was hearing its information, but we weren’t, but increasingly now we can.” Sensors are meant to allow us to tap into planetary intelligence, and to augment and intervene within these systems in order to realize new efficiencies and insights. 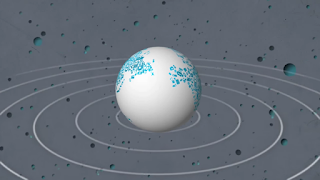 Perhaps in contrast to the usual visual representations of the planet as a fragile object viewed from the distance of outer space, these computational articulations of the Earth are instead focused on connecting up processes and events in order to maximize earthly operations. 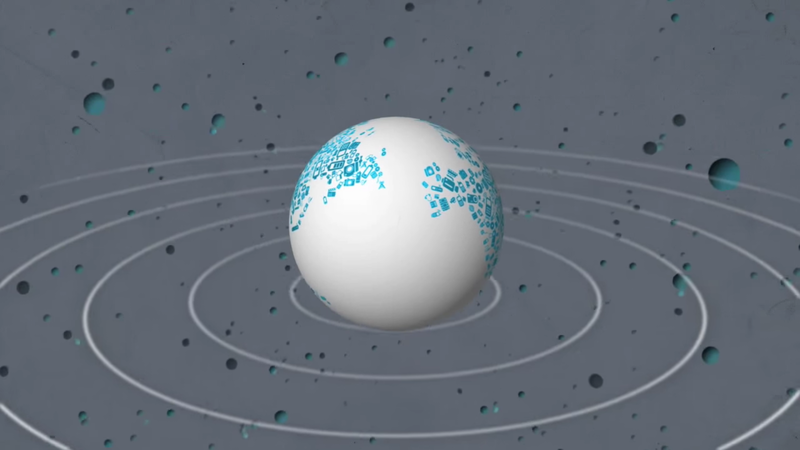 Here is a planet—a programmed earth—where data and networks that have always already existed in a seemingly natural way can be better understood and harnessed through the unique insights provided by environmental sensors and actuators. Often these imaginings of environmental sensors present a unified planet operating as one intelligent uber-organism. But rather than argue that new “whole” or unified earths are emerging through these computational technologies, I instead demonstrate how there are a proliferation of sensing technologies, datasets, networks, and practices, which might attempt to realize new types of interoperability but which multiply rather than consolidate versions of the planet. The “program” of Program Earth is then not a singular script or code executing a command-and-control logic on environmental systems. Instead, Program Earth asks how specific sensor occasions demonstrate the splintering and multiple ways in which these environmental computation technologies take hold. Within this focus on particular modes of sensing, the question also emerges as to how sensing technologies connect humans and more-than-humans, along with their environments. Here, citizen sensing is a key way in which this question is taken up. How do “citizens” and citizen-sensing practices become configured along with sensor technologies and processes? There is no shortage of examples of citizen-sensing projects underway that take up low-cost environmental sensing technologies to create evidence about air and water pollution, as well as document the activity of organisms and intervene within urban ecologies. 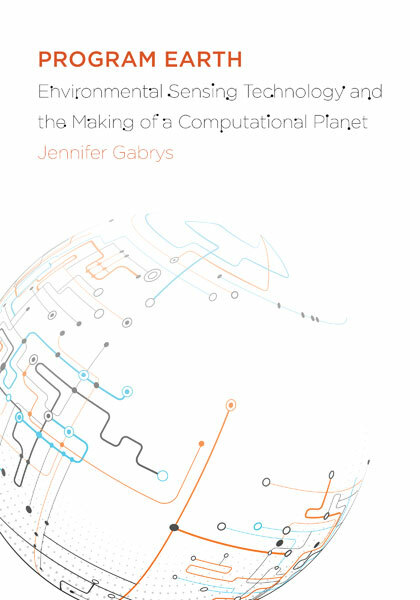 Along with the proliferation of sensor technologies that are remaking versions of the “planetary,” here is a new set of practices for monitoring environments and generating evidence, and for engaging with environmental and political matters as data-based problems. This is an area of research that is ongoing, since I am conducting a research project, “Citizen Sense,” which focuses more centrally on the question of citizen-sensing practices that emerge with the rise of low-cost computational sensing technologies. The project asks: What new political practices do these technologies enable? And how do they potentially limit environmental engagement to data-focused modalities? Environmental sensing technologies, and the intensification of planetary computerization, generate particular ways of encountering and relating to the Earth as under stress and in crisis. It is the specific environments and entities that materialize in the process of this planetary computerization to which Program Earth attends, while also asking how these new technological arrangements might be reworked and rerouted toward less deterministic and more open-ended engagements. Jennifer Gabrys is a reader in sociology at Goldsmiths, University of London. 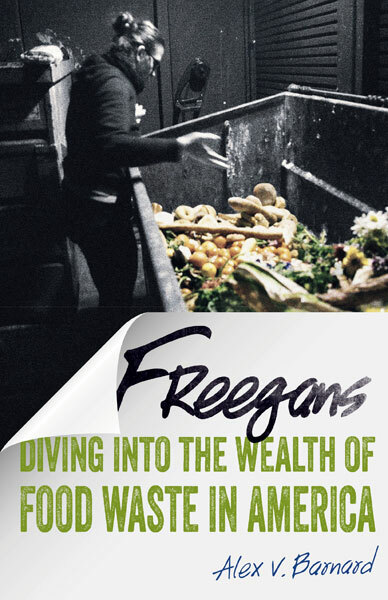 She is author of Program Earth: Environmental Sensing Technology and the Making of a Computational Planet (out this month) and Digital Rubbish: A Natural History of Electronics. "Program Earth is a tantalizing account of digital, citizen-sensing worlds in the making." "Impressive and original, Program Earth is not just concerned with the collection and dissemination of data, but also—and more crucially—with the transformation of these data and with their effects."